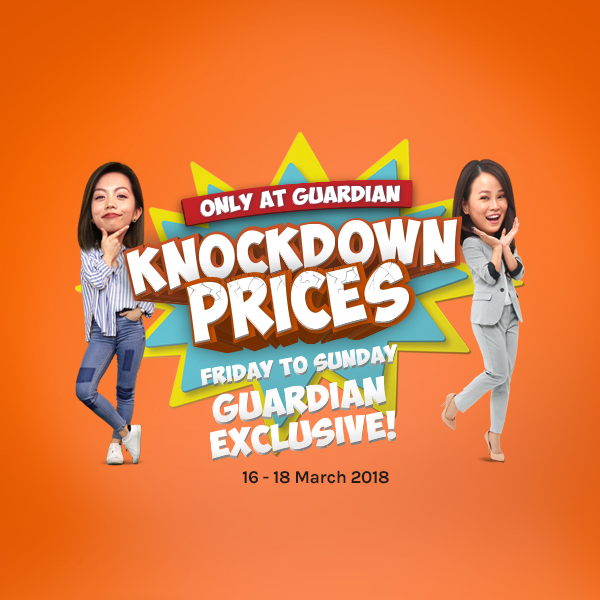 Guardian Exclusive Knockdown Prices up to 70%! 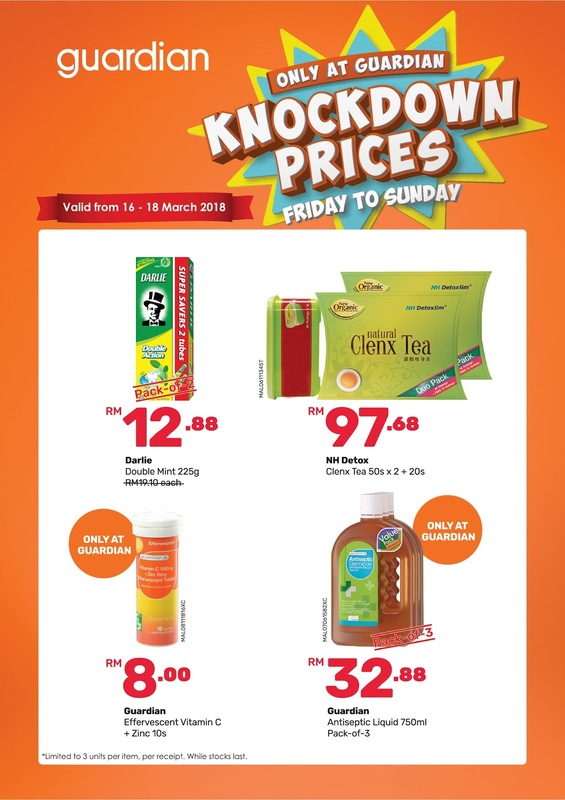 Malaysia's premier wellness brand, Guardian is having fabulous Knockdown Prices storewide ! The Knockdown Prices programme will take place every week, Friday to Sunday till the end of 2018. With an estimated 260 items ranging from health and beauty products will be offered at lower prices.